Thanks for participating in #GiveItUp4Peace 2018! #GiveItUp4Peace is PeaceGeeks' annual charity challenge—give up something for the month & raise money to help communities at risk use tech for peace. When we asked if you would #GiveitUp4Peace in October 2018, we couldn’t have anticipated the response! Over the month, our staff, friends and followers gave up things large and small in order to raise awareness of the deprivations suffered by refugees and others who have to go without, and raise funds toward PeaceGeeks projects helping those forced to give up everything in the face of conflict and displacement. We saw people give up, for the month of October, things like sleeping in their bed, using the internet, wearing shoes, drinking a cold beer, and even having a morning coffee. All in the name of supporting peace, resettlement, integration, and inclusion. These small sacrifices added up to a record breaking campaign that broke all of our records of fundraising and participation. This was our largest fundraising campaign ever, and we are happy to report that we exceeded our goals. These donations will now be used to help us support even more communities in need. 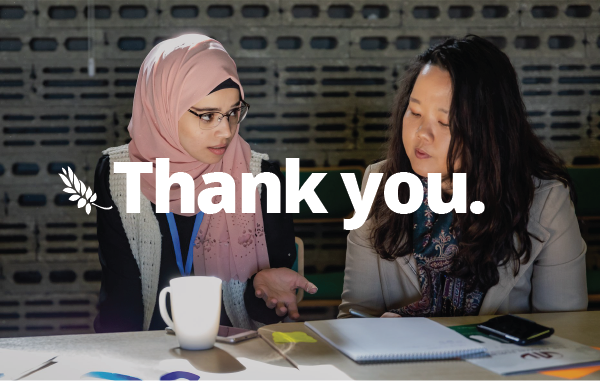 Whether for our Pathways app connecting new immigrants with services in their new home, or our Meshkat Community program in Jordan working with communities to challenge hate speech and violence in the Middle East, donations will go toward making these programs better and more effective. We had over 75 people giving something up for peace. Thank you for the incredible outpouring of support, empathy and enthusiasm to help communities forced to give up everything. We raised $51,426 towards our programs helping communities at risk at home and abroad. This broke our funding goal by over $6,000 (115%)! We received over 180 donations from individuals and companies alike. That’s an amazing amount of community support and we couldn’t have done it without you! We had 12 participating teams. Corporate teams included long time friends of PeaceGeeks like Affinity Bridge and Axiom Zen, as well as local and tech companies like Left, the HiVE, Flipboard, Lighthouse Labs, Eventbase, and RED Academy. We'd like to also extend a huge thank you to Airbnb and Salesforce for making corporate donations, as well as Foodee for sponsoring to help us reach our campaign goal. Congratulations to everyone! We had over 30 volunteers powering the campaign, helping to spread the word, execute events, and support us on social media. Thank you so much, we couldn’t have done it without you. This year's #GiveItUp4Peace challenge was even featured in Global News. Way to go! Here in Vancouver, PeaceGeeks recently launched our new mentorship project, which will aim to build a digital tool matching newcomers to career mentors. 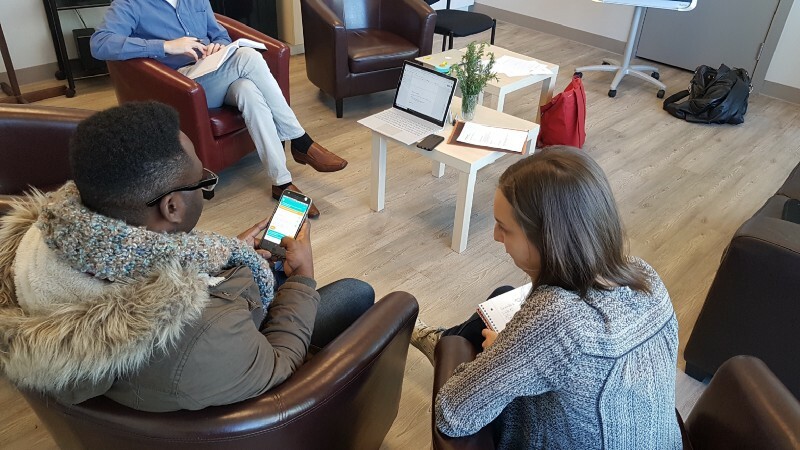 In Spring 2019, we’ll be launching our Pathways app helping newcomers better access services for settlement. In Jordan, we're actively bridging community divides, whether it’s through our Digital Peace Youth Network, Capacity Building Workshops, National Alliance, and more. In Mid November, we brought together representatives from non-governmental organizations (NGOs), international organizations and the Jordanian Armed Forces to foster collaboration and knowledge sharing across the institutions’ programmes in promoting Tolerance and Community Cohesion. We’re now getting ready for our second annual Meshkat Peace Awards, which will honour the noteworthy contributions of Jordanian community leaders who work to strengthen peace through digital media. So, because of all of these numbers: thank you to everyone who participated in the #GiveItUp4Peace challenge.